That was part of a conversation with my business coach. When you toss your hat into the ring to be a speaker — a paid speaker —you must have a ready answer for this question. 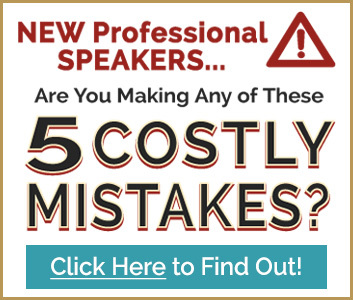 Throughout this blog post, you’ll learn about some of the MAJOR mistakes I’ve made over the years that held me back as a paid speaker. My hope is that you’ll learn from my mistakes and excel in your own speaking business. My speaking career would be farther along if I had acted on tips I heard from other speakers. There are different ways to reach your goal, but my intention here is to get you to at least out of the starting blocks! Here we go! Not sure if kids still say this, but . . . Let me ‘drop some knowledge’ to help you be the paid speaker you want to be. Attend your local chapter of the National Speakers Association (NSA). Here’s where my first mistake occurred. Walking into the ballroom at the hotel where the Colorado Chapter was meeting, I ran into Mike, a professional speaker, and after a brief chat, we set up a day to meet to talk about what I wanted to do with my so-called speaking career. Here is the BIGGEST blunder I made. Yes, we did meet. We talked. But, that’s it. — First lesson… GET A COACH!! Mike told me his coaching fee and all I thought about was what was lacking in my life at that time – MONEY. Find a way to get the money you need to get a coach. Who is going to pay you? Back in the ‘old days,’ speakers actually had to take transportation to attend a professional development workshop. (I know! Insane, right? LOL) Nowadays, there’s an online class you will absolutely WANT to take to help you on your journey. It’s called “How to Build a Successful Speaking Career,” and it was created by Joe Sabah, co-founder of NSA/Colorado. Joe knows a thing or two (and more!) about speaking, and his class will help you get started as a pro speaker. 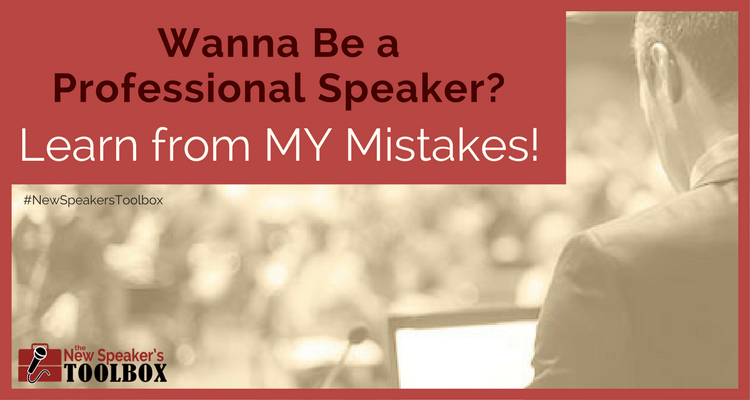 In the course, you’ll learn the basics of getting yourself booked to speak. It’s not about building a business — it’s simply about how to get your calendar full of speaking engagements. 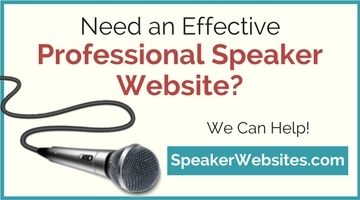 At first, you’ll very likely be speaking for free or little money, but the more you do it, the more your speaking skills will improve and the better your chances will be of getting paid speaking gigs. The game of baseball is a good way to understand success expectations. When a ball player comes to bat, they’re not always going to hit a home run. Reality is, you (the professional speaker) shouldn’t be afraid to ‘strike out’ or stumble. Professional speaking, just like a baseball game, isn’t always going to be perfect. During my first paid gig, I had technical issues with the mic and the slideshow ‘clicker.’ It was extremely frustrating and disheartening. (The head waiter felt so bad for me that he gave me two pieces of tiramisu cake!) Lesson… don’t let the imperfect realities bring you down. Learn from those opportunities and do better next time. Tommy is the executive producer and host of the podcast, “Blending the Family,” found on iTunes and Stitcher Radio. He has spoken at TEDx, Ignite Fort Collins, the Everything Dad Convention, among others. Tommy is the author of “25 Tips for Divorced Dads,” “Why Not You, Why Not Me,” and the soon-to-be-published, “My Dad’s Advice at 5:04 am.” He’s a dad to Betsy, Becca, Connor, and Duke and husband to Ann. You can connect with Tommy via his website at www.BlendingTheFamily.com and access his podcast on Stitcher.